You may have noticed that my posting has been rather scarce totally non-existent today. That's because I've been scurrying around, trying to get ready for Rosh Hashana. My husband and I will spend the holiday in a traditional way, in synagogue and sharing some festive meals with good friends. I will be offline for three days, until Sunday, 10/2/11, but when I come back, I plan to hit the ground running! Do you remember about two weeks ago, when I promised you a Mambo Sprouts lightning giveaway? It's finally happening! 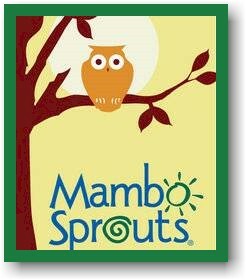 The wonderful folks at Mambo Sprouts have contacted me and given me a couple of goodie bags, loaded with organic samples and coupons for organic products. Two fortunate DailyCheapskate readers are going to get them. Stay tuned and I'll tell you how you might be able to win them. 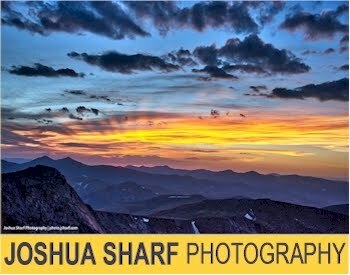 Have a wonderful weekend, and if you are celebrating the holiday, have a Shana Tova, a Ketivah v'Chatimah Tova, and to all my dear readers, have a happy and healthy Jewish New Year. See ya on Sunday. The end of the month is nigh upon us; September 30 is coming up on Friday, which means we can look forward to some new coupons popping up in the changing of the (coupon) guard. It also means that many of your favorite coupons, you know, the ones you've been meaning to print but haven't gotten round to, are going away. If you've got any coupons on Coupons.com, SmartSource, Red Plum, Whole Foods, Target, Kellogg's, Betty Crocker, or Cellfire that you've been eyeing, now is a good time to put toner in the printer. BTW, if you received any coupons for free Aussie, Pantene, or Herbal Essences shampoo from any of the numerous Cattle Call Facebook freebies that took place this summer, be aware that those coupons expire on 9/30/11. There is nothing more aggravating than letting a coupon for a free product expire, so make sure you redeem those now. Whether or not you celebrate Halloween, you can always celebrate an Extra Cash Back Event from ShopAtHome.com! From now until 10/2/11, you can get super-high cash back rates from 15 great online vendors, like Walmart, Kmart, Bed Bath & Beyond, and 12 other great stores (see below for the list). 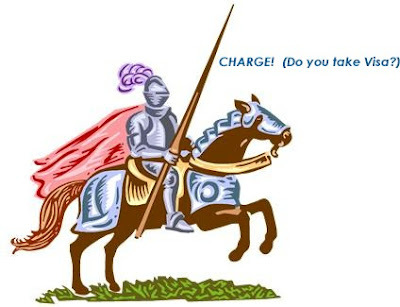 Here are the 15 online vendors that are now super-charged with extra cash back rates, good only until 10/2/11. After 10/3/11, you can get cash back at the regular rates. 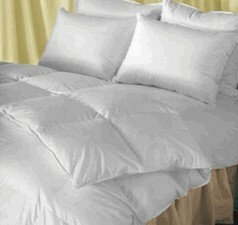 These are unbelievable prices on feather/down comforters. Depending on what you're looking for in terms of comforter weight and size, I think the best value here is on the king-size lightweight feather/down comforter for $83 shipped. Both Ebates and ShopAtHome.com offer 5% cash back at Pacific Pillows, but neither one has this promo code listed, so cash back is not guaranteed. It's always worth a try though. 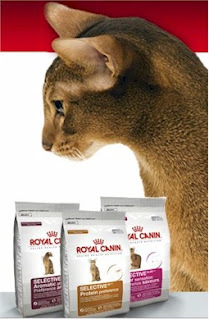 Click here to request your free sample of Royal Canin cat food. This sample is back again. Zantac is a pricey medication, so grab this sample while you can. 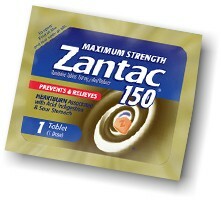 Sign up and receive a free sample of Maximum Strength Zantac 150. If you already requested a sample in the past, you can request one again (I did, and it worked). Brita has a sort-of-new (okay, new to me then) product: a 24 oz. water bottle that filters as you drink. No kidding, the water bottle has a replaceable filter inside the bottle itself. 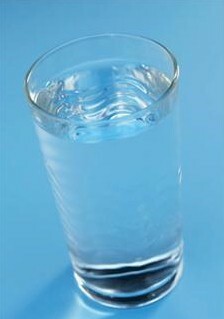 You fill it up with tap water, you get instant, delicious filtered water as you drink it. What will they think of next? It's also dishwasher safe and BPA free. This water bottle is a bit on the pricey side: $10 at Target or Walgreen's. Yeesh. But now you can get it for $3. Here's how. 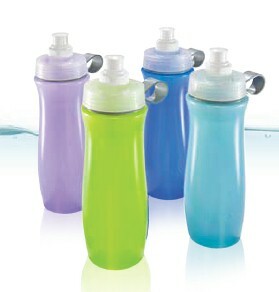 Redeem the $2 Brita Water Bottle coupon from Recyclebank for only 30 points. You can find it in the Rewards section, under the "Food & Beverage" tab, and it's a "print at home" coupon, so you can use it immediately. Wait, you're not a member of Recyclebank yet? Really? It's so easy, the points pile up quickly, and they've got some good rewards. Join here, and you can easily amass more than 30 points right away just from following the Earn Points links, enough for you to hit the ground running and print that Brita coupon right away. What is Recyclebank? It's a rewards program that gives you points for engaging in recycling-related activities. Those points can be cashed in for great coupons and rewards. I've belonged for over a year and a half now. Sign up for free, here. Once you've purchased your Brita Water Bottle using the $2 coupon, print and send this $5 Brita Water Bottle mail-in rebate. The rebate expires on 3/31/12. That's it, easiest math ever. $10-$2-$5=$3. Steal. Sign up for filter-change reminders on the Brita website and you'll receive (via email) a link to a $1 coupon off for a Brita bottle filter. Pledge to save water by reducing your purchase of individual bottles of water, and you will receive a coupon for $5 off a Brita faucet filter or pitcher. Once you've purchased your filter or pitcher, click here to download and print a mail-in-rebate form for $10 back on a Brita faucet filter or pitcher. There doesn't seem to be a limit on the purchase dates (!!!) but the rebate form expires on 3/31/12. Sign up for filter-change reminders on the Brita website and you'll receive (via email) a link to a $2 coupon off for a Brita faucet or pitcher filter. Don't forget to check out your tips on managing your mail-in-rebates. Click here to request a coupon for $1 off any Robitussin Cold and Flu product. Like to buy bottled water? My #1 recommendation on saving money is: don't buy bottled water. 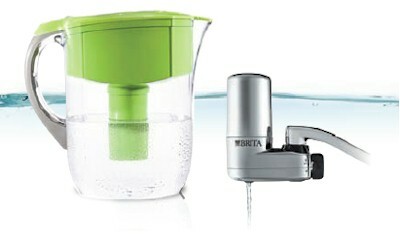 (Get a Brita water filter on your tap or a Brita filter water bottle). Still buying bottled water? Ok, here are three opportunities to save $1 off a 1-liter bottle of three national brands. Go to the Arrowhead Brand Sparkling Mountain Spring Water Facebook page, and/or the Deer Park Brand Sparkling Natural Spring Water Facebook page, and/or the Poland Spring Brand Sparkling Natural Spring Water Facebook page, like them, and then click on the "coupons" tab (on the left-hand side) to print your $1 coupon for a 1-liter bottle of spring water. Kohl's has women's flip-flops for just $2 with $0.99 per item shipping. $3 for flip-flops is a nice deal, even if you don't enter a single promo code or get any cash back. Once you're on the Kohl's site, add any of these patterned or solid flip-flops to your shopping basket. The sizes are going fast, so do it now. Use promo code EXTRA20KC to get 20% off, lowering your price from $2 to $1.60. Use promo code SHIPFREE to get free shipping. With your 4% cash back, free shipping and 20% off, your grand total is $1.54 for each pair of flip-flops, shipped. Pick up two pairs and put them away for next summer or for your winter beach vacay. 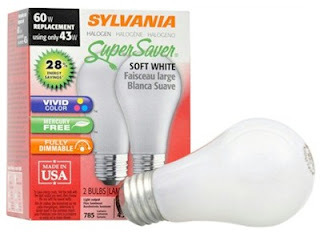 Print a coupon for $1 off any Sylvania CFL or Halogen Supersaver light bulb. FYI, while this is a matter of personal choice, I felt I should say something, especially because many DailyCheapskate readers have small children. I won't use CFLs inside the house because of the mercury content, and I recommend that you don't either; mercury is highly toxic substance, and one broken bulb could expose you or your kids. You also need to be especially careful of how you get rid of used CFLs. Most states have published guidelines about how to dispose of them, but if you can't find the guidelines, put the CFLs into double ziplock bags, seal them with tape, and bring them to a local Household Hazardous Waste (HHW) Collection Site. CFLs should not be incinerated, as that releases the mercury into the environment. However, halogens are mercury-free and are almost as good in light quality as normal incandescent bulbs, and if you find a great deal on bulbs, this coupon could make it even better. I have found that Home Depot generally has the best prices on bulbs; I'm going to check to see if they carry the Sylvania halogen brand. Buy three avocados, get one free. 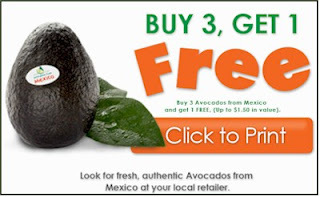 Print your buy-three-get-one-free avocado coupon. 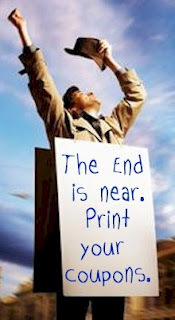 If you are having problems with that link, try going to the orginal avocado site and printing from there. Hurry and click on the ShopAtHome.com link to the Walmart page and click through (make sure you are logged in to ShopAtHome.com! ), click on the blue "BUY NOW" button and purchase your Speed Stick on Walmart.com for $0.94. 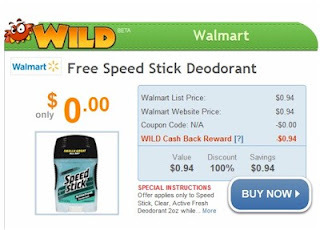 Offer applies only to Speed Stick Clear Active Fresh Deodorant, 2 oz. (while supplies last.) Free shipping with no promo code. Remember, you must be a member of ShopAtHome.com and signed into your account to get this great cash back deal. Not a member of ShopAtHome.com yet? It's free. 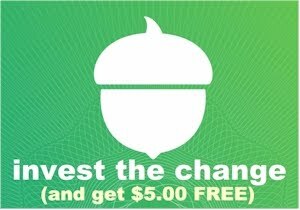 Click here to join and get $5 cash just for signing up and using their site to make a purchase within 30 days. You will get the full $0.94 in cash back from ShopAtHome.com, making this a free item. Hurry, these will sell out very quickly. I'll be sending Rachael a complete set of service for 24 (!!!!) in one of Party City's most beautiful formal paper patterns, including: 24 dinner plates, 24 dessert plates, 48 dinner napkins, 48 cocktail napkins, 32 hand-towels, 2 tablecloths, 24 cups, 96 pieces of silver-look plastic cutlery, 24 plastic champagne flutes, to make for the most gorgeous YomTov (holiday) table ever. The value of this set is approximately $100. Rachael, you lucky duck, we want pictures of your Sukkot table! 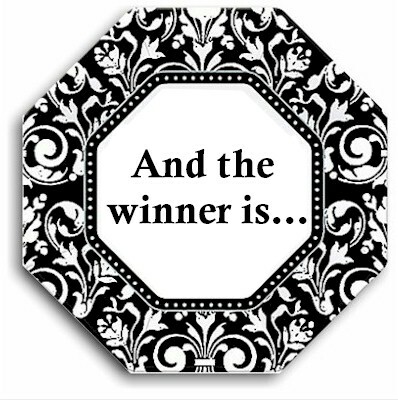 Thank you to all who entered and a huge, honkin' thank you to Party City for providing us this wonderful set of tableware to give away. Party City in my favorite place to get all my Jewish holiday disposable tableware. And if you didn't win, you can try again right before Chanukah, because Party City will be giving us another gorgeous set of tableware to give away. Spin those dreidels and stay tuned. Remember about two weeks ago, when I whined talked about my crock pot breaking? And I embarked on my noble frugal quest to replace it with a much pricier, 3 crock-model, but I wanted to do it for not more than $45? Well, I got there. That is, I almost got there. $46.55. So, I'm a about a buck-fifty-five over the limit I set, but I'll forgive myself, because I have not seen this model slow cooker for this price ANYWHERE. And I got free shipping, which always puts me in My Happy Place. Before I tell you how or where, first let me address a question asked of me by no less than three DailyCheapskate readers via email, that is, why am I going for such an expensive slow cooker (suggested retail price, $69.99) when there are plenty of models to be had for $20-$30? Well, Gabby, Chani and Chrissa, here's the story. I hate wasting food. It is a major pet peeve of mine. It is also a major downfall of mine. I often overcook when it's just my husband and me for a meal, and to be perfectly honest, we are not great about eating leftovers. Leftover chulent or stew is really not high up on my gastronomical delight list, and the food often goes down the garbage disposal. This kills me. I find it ironic that I work so hard to save money and then waste it with very little effort. 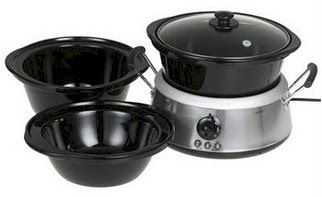 This pricier model slow cooker comes with three size crocks, 2-, 4-, and 6-quart (all nesting inside each other for easy storage, another must in my teeny-tiny kitchen). The 2-quart size will be perfect when it's just Joshua and me. The 4-quart size will suit us when we have one family over for a Shabbat meal. 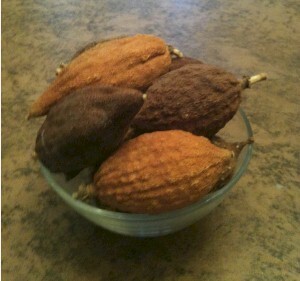 The 6-quart size will work on those cold, snowy winter Denver Shabbatot, when we are feeding a small crowd of guests. Three sizes, much less food wasted. I think in the long run, this pricier slow cooker will actually save us money. Quality-wise, it seems to outshine other models. It got all 5-star reviews on the Target site, 4 1/2-stars on Amazon, and (nothing like a personal review) my friend, Sally, owns it and raves about it. My previous slow cooker was a Rival brand 6-quart crockpot that I snagged on sale for $15 and it barely lasted two years (even though so far, the identical one that I bought for Pesach has been great, though it has been used a total of two weeks in two years, but ok). I am really hoping this Hamilton Beach version will be a keeper. Oh, and the crocks and lid all go safely in the dishwasher. That's another must. The 3-in-1 slow cooker that I wanted was priced at $57.99 on HomeDepot.com. I used the promo code RESELLERRATINGS to get $10 off (Hat tip to Kollel Budget for finding that code.) This was the deal kicker, since it gave me about 17% off. Shipping was free to my home, since my purchase was just over $45. Total on the Home Depot site (sans tax) was $47.99. My 3% cash back will bring it down to a grand total of $46.55, shipped. <Round of admiring applause.> Quest complete. All hail the conquering Cheapskate. Here's a potpourri of my own personal assorted tips and tricks for Rosh Hashana and Sukkot. I know you have your special list of Yom Tov tips and I want to open this post up to sharing them; please post them in the comments below! 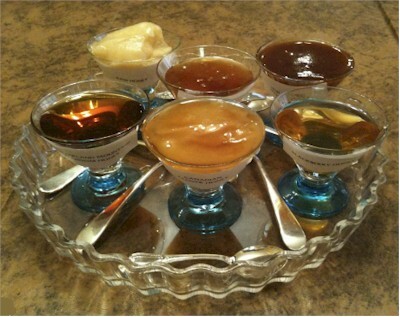 Here's an idea I saw in an old Susie Fishbein cookbook: on Rosh Hashana, put out a honey-tasting platter (I've already set up mine for this year; it's pictured above). 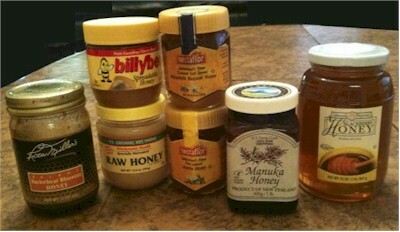 Different types of honey taste very different. Wildflower honey has a different flavor from clover honey (the most common), manuka honey, blackberry honey, buckwheat blossom honey, and acacia honey. 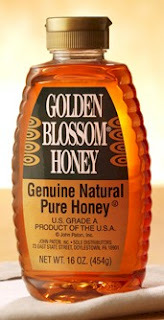 You can pick all these different types of honey up from stores like Whole Foods, Vitamin Cottage, Sprouts, or sometimes even your regular supermarket. Get creative with your honey serving dishes. Last year, I used different sized and shaped blue glass bowls (our china is blue). This year I'm using little cordial glasses that I got at the free Pier1 promotion. A friend of mine uses assorted brightly colored ceramic jars. Another one uses maple syrup dispensers. One year, I hollowed out a bunch of nicely shaped apples and used them as honey dishes. Just remember that you're not restricted to the ungapatchkit silver honey dish that you got as a wedding present from Aunt Ida. A few years before I got married, (after some misadventures in unsuccessfully trying to make estrog jam) I started collecting etrogim after Sukkot. I would just put them around the living room in various bowls (see photo above) and eventually, they would dry and harden and take on interesting colors and textures. I have a bunch of them now, mostly from my husband, but a few from my father, z"l, from years gone by. (It gives me a nice feeling to know that I have some things that my dear father once used for a mitzvah.) If you choose some interesting bowls, they make for creative centerpieces on your YomTov table in the Sukkah. You are going to be serving a LOT of meals over the next few weeks with a bunch of guests. Keep a running list of your friends with special foods needs on your computer. We have vegans, vegetarians, gluten-free, diabetic, carb-free, pescatarian, nut-allergic, etc., friends in Colorado, and it's super-awkward when you find out these needs when your guests are sitting at your YomTov table and not eating anything. (Flashback to a Sukkot meal about five years ago when I had three surprise vegetarian guests who couldn't even eat my green salad because it contained shredded chicken...what a nightmare.) Ask your guests about any special foods needs they and their families might have when you invite them and record the information in a permanent file on your computer so that you'll have it the next time you invite them over. In keeping with the Yom Tov theme, serve dishes like this honey-chicken recipe from Jason and Yael, or the apple-stuffed challah that I made with Rhodes dough (you can adapt it to your own homemade dough if you prefer). Honey cake is a classic, or you can opt for pareve vanilla ice cream topped with diced apples and pomegranates seeds or drizzled lightly with honey. You can throw pomegranate seeds into any green salad for a nice twist. I've seen this in almost every Colorado sukkah I've been in, but not in NewYork sukkahs, so I wonder if this is an "out-of-town" thing. Instead of a single ugly outdoor lightbulb hanging down the middle of your schach, hang up strings and strings of white outdoor Christmas lights. It looks beautiful at night. Of course, the best time to buy Christmas Sukkot string lights is the week after Christmas, but you already knew that. This is an idea that I stole from my very creative artist sister-in-law, Ellen Filreis. 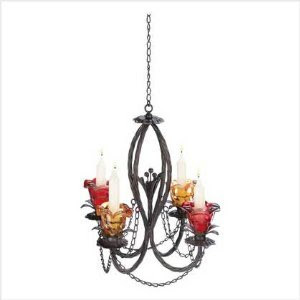 Since you can transfer flame on YomTov, buy an inexpensive candle chandelier like this one or this one and hang it in the middle of your sukkah. Fill it with safe tealights (or citronella candles, as noted in the comments below, which will keep away mostquitos) and light it at night for some wonderful dinner ambience. This is the $16 one that I purchased two years ago, as well as this one from Cost Plus World Market. Raid the Walmart crafts section and buy yards and yards of those "silk" floral and leaf chains and hang them all over your Sukkah. They are colorful and pretty, ridiculously cheap, aren't hurt by the rain, and when they get dirty, you can just hose them off. You can also get them Hobby Lobby or Michaels (make sure you use coupons at those stores). Are you intimidated by the idea of making stuffed cabbage? I'm going to break it down for you. Take your favorite Swedish meatball recipe meat mixture, add a cup of cooked rice and serve the mixture wrapped in green cabbage that has been softened either by boiling or by putting it in the freezer. Boil your cabbage "packets" in a large pot full of tomato sauce, with a 1/2 cup of brown sugar, a can of cranberry sauce and a handful of raisins. I do this every year, and it's super-easy and delicious. After the stuffed cabbbage is cooked, you can freeze it in aluminum pans, a reheat it in the oven. If you're on a healthy kick, use brown rice instead of white rice; you won't even notice the taste difference. The best time to buy Sukkot decorations is the week after Sukkot. Load up on half-price or heavily reduced Sukkot decor when they go on clearance at your favorite Judaica stores. If you live near an Amazing Savings, (oh, how I long for an Amazing Savings in Denver) stock up on their incredible 99-cent Sukkot decorations. Last time I was in New York, I bought two dozen of these and stockpiled them to replace torn and ruined decorations from year to year. Check out the recipes in this Kosher On a Budget Rosh Hashana Recipe Roundup. Ok, your turn. What tips, hints, tricks, easy recipes, methods, etc. have you learned over the years that help you have a creative and frugal YomTov? Please post in the comments below. This gift card can only be used in-store and not online at Staples.com. Limit 1 per person, per household, per credit card. Offer is valid for 1 genuine, Staples Gift Card which will be mailed to the address provided once the redemption voucher is completed and processed. Offer cannot be redeemed until 24 hours after voucher is received. Although the Staples Gift Card NEVER expires, the voucher must be redeemed within 60 days from date of purchase. The Staples Gift Card will be shipped via standard shipping to the address provided to Saveology via the redemption site. No worries, there are no shipping charges and no hidden fees associated with this offer. Step-by-step redemption instructions will be on your voucher which will be posted to your account 24 hours after the purchase is completed. UPDATE 9/22/11: This giveaway is now closed. 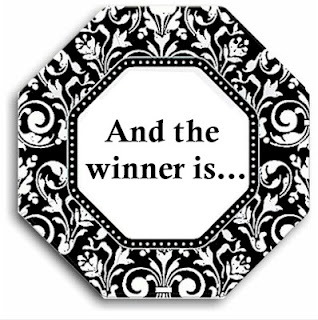 A winner has been randomly chosen via Random.org and has been notified by email. As soon as the winner responds, we will announce his/her name. Thank you for your entry. The fall Jewish holidays are just around the corner: Rosh Hashanah, Yom Kippur, and my personal favorite, Sukkot. Sukkot (aka Succos) is a Jewish holiday celebrated on the 15th day of the month of Tishrei (this year on 10/12-10/19/11). It lasts for seven days and is immediately followed by another holiday known as Shemini Atzeret. The Hebrew word "sukkot" is the plural of "sukkah," which means "booth" or "tabernacle." The sukkah is intended as a reminder of the type of temporary, fragile dwellings in which the Jews dwelt during their forty years of wandering in the desert after the exodus from Egypt. Throughout the holiday of Sukkot, the sukkah becomes the primary living area of one's home. Most celebrants invite lots of guests for Sukkot meals, which are eaten inside the sukkah; many sleep there as well. How would you like your Sukkot table to look something like this? Party City has given me a complete set of service for 24 (!!!!) in one of their most beautiful formal paper patterns to give away to one fortunate DailyCheapskate reader, including: 24 dinner plates, 24 dessert plates, 48 dinner napkins, 48 cocktail napkins, 32 hand-towels, 2 tablecloths, 24 cups, 96 pieces of silver-look plastic cutlery, 24 plastic champagne flutes, all in this beautiful formal pattern, to make for the most gorgeous YomTov (holiday) table ever. The value of this set is approximately $100. 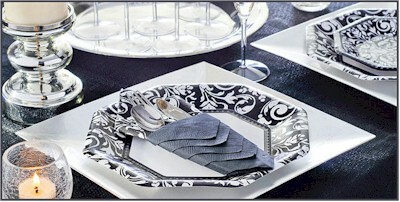 One DailyCheapskate winner will be drawn at random to win this elegant tableware set. What do you need to do to qualify? Like the Party City Facebook page. Comment with your email address on the bottom of this post and tell me your favorite thing about either Party City or Sukkot (or both). The winner will be drawn at random on September 22, in order to get this set sent out in time for the Jewish holidays. Winners must reside in the United States, be over 18, not be an employee of Party City, and not be my husband (sorry Joshua). 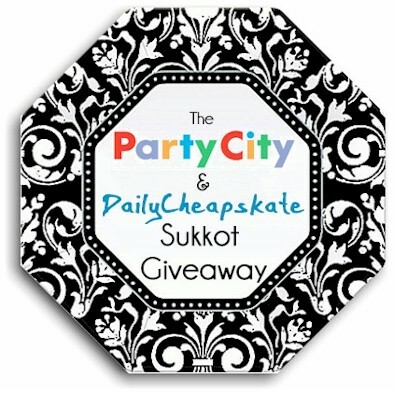 Thank you to Party City for sponsoring this generous Sukkot giveaway! Good luck! Request your free sample of Tom's of Maine strawberry-flavored toothpaste for kids here. Do you cook or bake with pomegranate juice on Rosh Hashana? I use some in my salad dressing, tossed witha little apple cider vinegar and olive oil. Print a $1 off a 16 oz. bottle of Pom Wonderful (look on the lower left hand side of the page for the link). Rosh Hashana is next week. Need I say more? Shopping for Passover in September? Am I crazy? As I posted earlier in the week, King Sooper, the Kroger affiliate store in Denver, is holding their Kroger Buy-10-Get-$5 (B10G5) sale. One of the items included in the sale is a 1-liter bottle of Perrier, normally priced at $1.99, now on sale for $1.59. 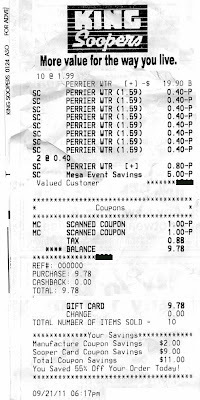 Perrier is one of my grocery-watch-items and it rarely goes on sale. I bought ten bottles. Why? Since all items included in the B10G5 sale are reduced by $0.50 when you buy ten of them, the cost dropped to $1.09 each, or $10.90 total, which is an excellent price for Perrier. 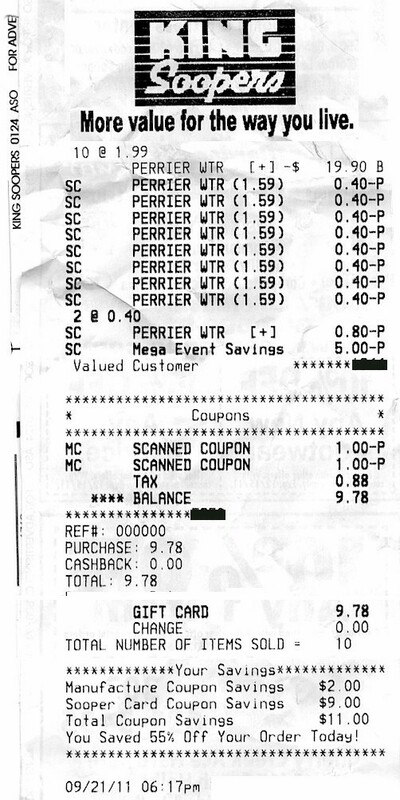 I also had two $1/3 Perrier coupons that I printed from coupons.com, reducing the total down to $8.90, or $0.89 per bottle, which is an unheard of price on a 1-liter Perrier, at least not in Denver. Perrier is kosher for Passover year-round, and we usually pick up a case of 12 for Passover, which I consider a splurge. Even at a 10% case discount price, I've never paid less than $1.50 per 1-liter bottle, or $18 total for the 12 bottles. So you can see why a bottle priced at $0.89 (40% off) would appeal to me. If I have the time to print out more coupons on my spare laptop, I'll probably stop at King Soopers again tomorrow to pick up another ten. As I talked about back here on my series on Pesach on a Budget, the best time to shop for a holiday is all year long. Happily, closed bottles of Perrier don't spoil or turn. If I manage to stockpile twenty of these bottles of Perrier for $0.89 each, I will have spent $17.80 on Perrier (sticking to my budget), and I was able to get 20 bottles instead of 12. I'll put all this info into my master list of Pesach supplies so that I'll remember, come April. That's one less thing to buy in six months. So, maybe it's not so crazy to shop for Pesach six months in advance? Frankly, this applies to almost any area of spending, not just holiday purchasing. If you see a frugal opportunity that makes sense, grab it, no matter where you are on the calendar. Request a free sample of Prilosec OTC by clicking here. While we're not regular heartburn sufferers (thank God), we like to keep a few of these packets around the medicine cabinet...you never know! We put some in our family first-aid kit as well. I love free samples of pricey OTC meds. Do you live near a Save-A-Lot supermarket? Save-A-Lot would like to give a coupon for $5 off your $25 purchase just for liking their page on Facebook. Click here to get started until you get to the coupon screen, and then just print it. You do have to give them access to your Facebook profile, but remember, you can always revoke access (and you should) after printing the coupon. Coupon expires two weeks after printing. I wish I had known about LayerwearBasics.com five years ago! They carry high-quality cotton/lycra clothing staples in tons of colors and sizes. I wear pencil skirts (I have three black ones) all the time for running errands or just everyday shlepping around. Tube skirts are great if you are doing casual sports like bike riding or skating and don't want to wear pants. I paid a whole lot more for my skirts than the prices on LayerwearBasics.com for these staples, that's for sure! 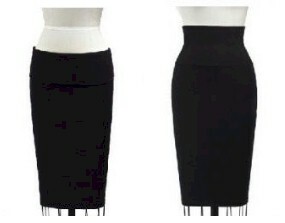 Kosher Kouponz has a great deal today, $20 for either a tube skirt (more sporty) or a pencil skirt (a little more dressy) from LayerwearBasics.com, with free shipping. The skirts usually cost $32-$35 with $5 shipping, so this is an excellent half-price deal. Click here to buy either or both of these skirts at half-price. Expires 12/08/2011. Not valid with any other deal or discount. 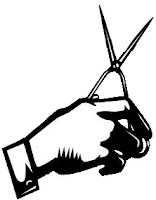 Limit 2 Koupon purchases per Kustomer, and only 1 Koupon may be used per transaction. Tax not included. 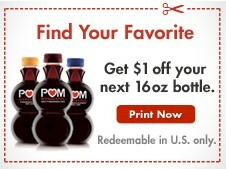 Today is Wednesday, which means MyCokeRewards will have a special on one of their rewards. Today you can get a deck of customizable playing cards from Snapfish, with your picture or logo or image on the back of the cards, for just 100 points (usually 400). Nice deal on a cute reward. Additionally, if you are a regular drinker of Powerade or Coke Zero, this is a good week to enter your cap codes, as you will get double MyCokeRewards points on those codes until 9/26/11. My husband and I each have a MyCokeRewards account, which has lately become one of my favorite rewards program. Between the 8 free college tshirts deal that we scored last month, the free BOGO Coke coupon (that I just redeemed last night), and the dozens of free 20 oz. Diet Cokes that we've redeemed, it's become a profitable program with very little effort put toward earning the rewards. The best points rewards programs are those that don't require you to change your behavior. If you're not a member of MyCokeRewards yet, and would like me to refer you, shoot me an email with the email address you'll be using for the account and I'll send you a referral invitation. When I refer you, you get an extra fifty points for signing up (which is already more than enough for a free 20 oz. Coke product) and I'll get 10 points (thanks!). Much thanks to all the DailyCheapskate readers who have let me refer them so far. 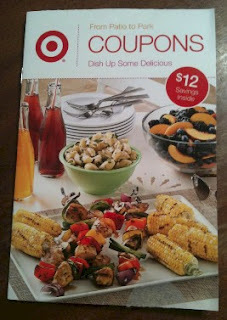 Today's (9/21/11) ShopAtHome.com Wild Deal is 10% cash back at Kmart.com. Click here to get this sky-high cash back rate, today only. Here's a great way to take advantage of today's Wild Deal. Gordon Ramsay (that scarybad, foul-mouthed chef on Hell's Kitchen and Master Chef) has a new line of quality kitchenware at Kmart, including a 3-liter deep fryer for $29.99. Here's how to get it for just $20.24. 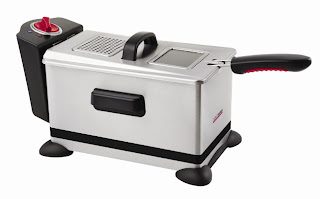 Once you're on the Kmart site, add the Gordon Ramsay 3 liter deep fryer to your cart. Use promo code HOME25P to drop your price by 25% to $22.49. Select ship-to-store to avoid shipping charges. Your 10% cash back on this will be $2.25, lowering your grand total on this 3 liter deep fryer to $20.24. You probably won't find a deep fryer of this size and quality at a price like this. FYI, the Emeril 3 liter deep fryer goes for around $100 on Amazon. Birds Eye frozen vegetables, including SteamFresh: $0.99 each. Print this $1/2 coupon for Bird's Eye frozen vegetables (use your back button to print it twice) and lower the price to $0.50 each for 2. Boulder Chips, 5 oz. bags: $0.99. If you printed this $1/2 coupon last week (no longer available), you can get two bags for $0.50 each. Simply Orange and Simply Lemonade, $0.95 (If you printed the $1/1 any size or variety coupons from Coupons.com in early September (no longer available) you can snag four of these for free plus a $0.05 moneymaker. Best Buy is running an in-store special on their Keurig Brewers. This week, instead of reducing their prices, they are offering a free gift card with each in-store brewer purchase. 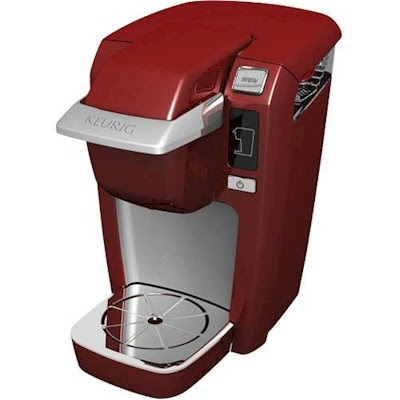 You can get a free $20 gift card with the in-store purchase of a $99.99 Keurig Mini Brewer. Because the Keurig Brewers are technically not on sale, you can use this in-store 10% off one regularly priced item mobile coupon to reduce the price on the Mini Brewer down by $10. $89.99 is a great price on the Keurig Mini Brewer; I haven't seen it lower than that. Factor in the additional free $20 gift card and you've got a superb deal. 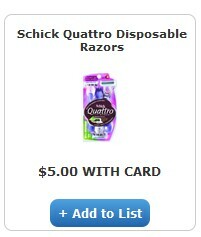 There are some new high-value Schick razor coupons that just became available yesterday, that have resulted in a few Schick Quattro CVS and Walgreens deals floating around for next week, where you can get a free Schick Quattro razor at CVS after $4 in ECBs (Extra Care Bucks) or a free Schick Quattro razor at Walgreen's after $5 in RRs (Register Rewards). These are great deals. However, 1) if you'd rather just get a straight free deal without having to buy anything else 2) you don't want to wait until next week and 3) you want more than one free razor (under the assumption that the Walgreen's and CVS deal will be limited to one package of razors), and 4) you live near a Kroger affiliate supermarket, try this deal. I just came back from King Soopers (the Denver Kroger affiliate) and it worked like a dream; I took home four 3-packs of free Schick Quattro razors. 3) Check to see that the Schick Quattro 3-pack disposable for men and the Schick Quattro 3-pack disposable for women is on sale for $5 with your loyalty card at your local Kroger affiliate. These 3-packs usually cost $6.99. I called Krogers and was told it was a national sale at all their affiliate stores but YMMV. 4) Purchase 2 of the men's razors 3-packs and 2 of the women's razors 3 packs and use your four coupons. Even though the coupon says "$5 off one Schick Quattro," that means one Schick Quattro package, not razor (the cashier explained that to me). The coupons should go right through without a beep. You might need to pay sales tax. 5) Enjoy your 12 free Quattro razors (value $27.96). Excellent deal. Get a free $2 credit for Android Apps in the Amazon Appstore by tweeting about the deal. After completing these steps successfully, browse for apps and games for your Android phone or tablet, and click the "Get now with 1-Click" or "Buy now with 1-Click" button. To confirm the $2 value was applied to your account, from any app detail page click "Redeem a gift card or promotion code & view balance." You should see a popup with your $2 code applied to the "Apps for Android" section. If you are already following @amazonappstore, you are still eligible to receive this promotion if you click the button above. Although the price shown with the "Get now with 1-Click" or "Buy now with 1-Click" button will not change, your credit will automatically be applied to your purchase. After your purchase, you can confirm that the credit was applied by checking your order confirmation, which will be sent to you by e-mail. Offer limited to one promotional credit per Amazon.com customer and account. 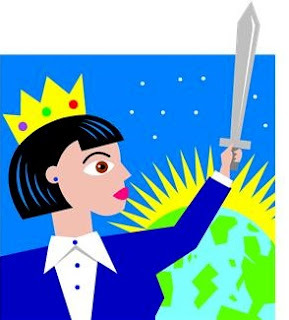 The promotional credit will expire at 11:59 pm (PST) on 12/15/11. New high value coupons for razors, sunscreen, etc. The products in each of these baskets alone cost between $23-$24. Toss in the magazine subscription which normally costs $19.99 and you've got a major steal. Shipping is free. Click here to get this special deal, today (9/20/11) only. 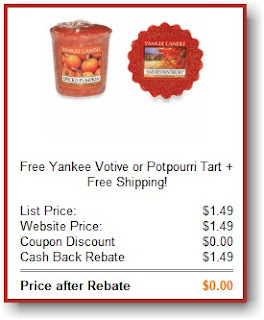 Click here to print your $1 coupon off a Yankee Candle votive or tart. These generally cost $1.99, so half-price! Good through 9/25/11. Click here and then click on the "Personal Care" tab to find the link to the free sample of Revlon Age Defying Cream Makeup plus the $2 coupon. If you don't see it, try zip code 80224. You will be asked for your mailing address; the sample and coupon will both be mailed to you. 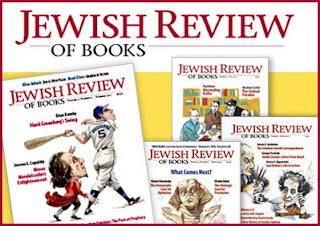 Jdeal: more than half off a year's subscription to "Jewish Review of Books"
There's a nice Jdeal available today: 55% off a year's subscription to Jewish Review of Books: $9 for a $19.95 subscription. New subscribers only. Just bought mine. Click here to snag this Jdeal. Click through the blue "Buy Now" button. 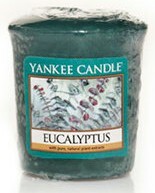 Purchase a Yankee Votive or Potpourri Tart in the following fragrances: Nature's Paintbrush, Autumn Wreath, or Spiced Pumpkin for $1.49. As long as you clicked through the "Buy Now" button, you will receive your purchase price, $1.49 in cash back in your ShopAtHome account, making this purchase free. Ready for Autumn? Before you start making your Fall purchases, check out ShopAtHome's Summer Clearance Extra Cash Back Event, from now until 9/25/11, with super high cash back rates from 16 online vendors, like Target, JCPenney, Macy's, and 13 other great stores (see below for the list). Target, was 3%, now 9% cash back. Kohl's, was 2%, now 4% cash back.